Grön makes every square of their melt-in-your-mouth chocolate using hand harvested, fair trade cocoa beans. 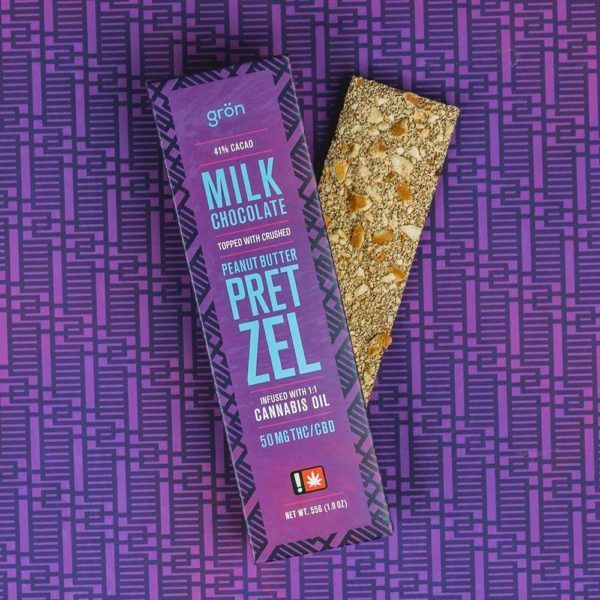 This particular bar has a layer of peanut butter and crushed pretzel that, beyond being a delectable combination, marries together into an out of this world smooth texture. Accompanying the delicious flavor comes a balanced dose of CBD and THC to provide relief and a light cerebral stone to help cultivate euphoria and a general calm over the world.